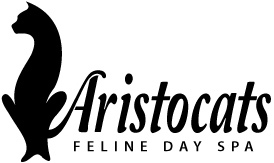 Aristocats feline day spa is a cat exclusive grooming salon – which means there are no dogs, EVER. Our cat grooming service is provided without the use of any sedation. Our groomers are fully trained cat groomers, that love what we do. We are not just grooming cats because we have been asked to, we are doing it because we genuinely love grooming cats. We believe that every cat deserves to look their best and be treated kindly. Cat grooming is a very specialised skill and doing it properly takes a lot of time and training to learn. We have specialised in cat grooming for over 10 years and have a large number of loyal clients that love how we groom and treat their cats. Come and see how good your cat can look, book your cat in today! Remember, a well groomed cat is a Happy cat!